Will Hybrid Plug-ins Lead to Greater Reliance on Coal? EarthTalk: Will Hybrid Plug-ins Lead to Greater Reliance on Coal? 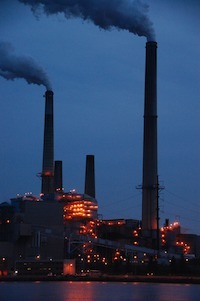 Some analysts expect that existing electricity capacity in the U.S. may be enough to power America’s electric cars in the near future, but don’t rule out the possibility of new coal plants (or new nuclear power plants) coming on line to fill the gap if we don’t make haste in developing alternate sources for generating electrical energy. And while proponents of energy efficiency believe we can go a long way by making our electric grids “smarter” through the use of monitoring technologies that can dole out power when it is most plentiful and cheap (usually the middle of the night), others doubt that existing capacity will be able to handle the load placed on even an intelligent “smart grid” distribution network. Environmentalists—as well as many politicians and policymakers—maintain that the only viable, long-term solution is to spur on the development of renewable energy sources. Not long ago, the concept of an all-electric car charged up by solar power or some other form of clean renewable energy was nothing but a pipe dream. Today, though, such a scenario is within the realm of the possible, but only if everyone does their part to demand that our utilities bring more green power on line. Image credit: Rich McGervey, courtesy Flickr. The JPI Fuel Industry of the Philippines had develop a clean energy out of wasteorganic renewable energy to fill the gap on abolishing the fuel coal the prime contributor to climate change no doubt about that ( it emits 6 billion metric tons of CO2 yearly). On this , on your papers or column I urge for humanitarian reason to help promote this industry for our country is less priveledge in doing it so. Further due to its abundancy world wide it can energize all of the worlds direct burning industry both for power and none power industry. This is the only solution to save our planet earth. Yes the plug ins will increase usage of electricity . It is effective on the moving industry.